HOWEVER, political turmoil (trade war, impending government shutdown, fun in France and Mexico) have been contributing to instability in the global economy and giving investors heartburn — bad for the economy, good for mortgage rates. All major numbers indicate falling mortgage rates. 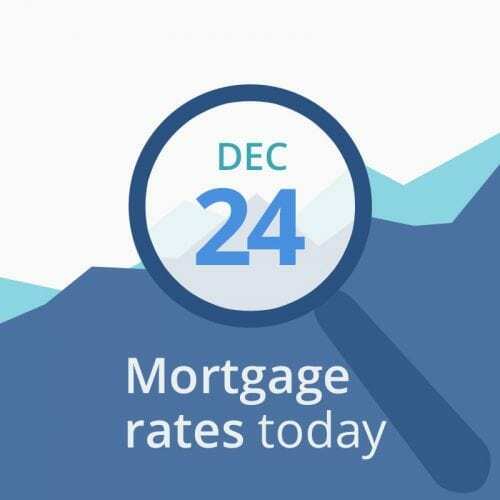 Today’s data point to lower mortgage rates. You can probably float another day or three (holiday-shortened weeks don’t usually bring earth-shattering change) if that will get you into a better tier (for instance, drop from a 45-day lock to a 30-day, or a 30-day into a 15-day lock). If closing soon, current rates are attractive enough to feel good about.